Winters are the perfect time to snuggle up with a good book in front of a fireplace, enjoying a hot cup of tea in bed every morning, lazy afternoons and more. India is always blessed with different climatic conditions in winter season in different parts of the country. 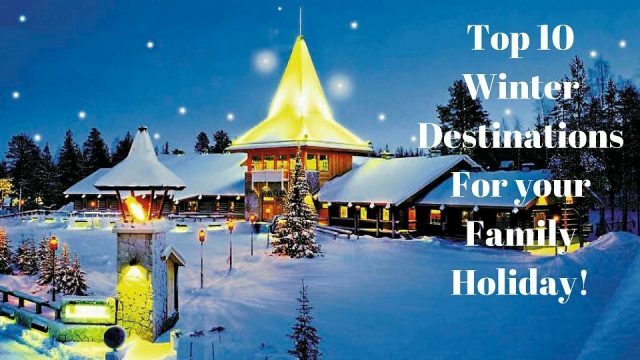 Unlike most of the most Western world, where cities are covered under a blanket of snow in winters, there is quite a bit to choose from when it comes to winter holiday destinations in India. Rajasthan: One of the best times to visit to the royal state of Rajasthan basically is during the winter months. Like most parts of North India, Rajasthan always too experiences cold climatic conditions during the winter months, which are pleasant by western world standards. Kerala: Some people are not aware of the idea of snuggling up in a warm blanket all day long. For those people who would rather escape the chilling temperatures of winters, Kerala is ideal for winter holiday destinations in India. Auli: If you are looking for a skiing and chilling holiday, one of the best destinations to be in during winter months is Auli. A main part of the Indian state of Uttarakhand, this valley is home to some gorgeous skiing slopes. Shimla: There is nothing more interesting like spending a romantic vacation with your special someone in the midst of snow. Shimla is basically a quintessential winter holiday destination in India. The colonial character as well as, snow-covered peaks and good accessibility makes it one of the hottest destinations for honeymooners in the winter season. Goa:Looking to bring in the festivals this year with a lot more joi de vive? If yes, then Goa can be your ultimate winter holiday destination. The place mainly comes alive during the winter months with all night parties and some seriously crazy crowd. Nainital: Just like most hill stations in India, there is romanticism in the air in the winter months here, and the streets are fairly less crowded, which adds to the experience. Ladakh: Ladakh has always considered the winter destination of choice for adventure-seekers and travelers looking to experience the beauty of the Himalayas. Tat is why icy treks and motorcycle expeditions are in a class of their own. Manali: Well endowed temptress Manali lying at an altitude of 2050 is the one among the best places to visit in India in winters, the snow-clad mountains; Himalayan peak and the restless floating river are some best things that you get to see at Manali. Tsomgo Lake, Sikkim: somogo Lake is one of the few places to visit in India in winters; the lake looks double attractive with its amazing surroundings and hill reflections. Further up you can see the Kyongnosla Alphine sanctuary which is the shelter for the Himalayan black bears, birds, Red panda and some rare animals. Khajjiar, Himachal Pradesh:Khajjiar lake is in Khajjiar, tourists should never miss going to this lake, the huge grassy landscape and the cedar trees will give some memorable moments. So, visit the Kalatop wildlife sanctuary and take up Khajjiar trekking. Which one is better Nainital, Shimla or Mussoorie? Which is the best time to visit Shimla? When does Shimla receive snowfall? What is famous in Himachal Pradesh?